Creating a better community, one dress at a time. Mandi Wilson is on a mission, that mission is to advocate and help others. For the past two years, Mandi has been braving the cold, snowy, December days in a dress. As a Dressember participant, Mandi is bringing attention to the issues of modern day slavery and sexual trafficking by committing to wear a dress each of the 31 days in December, no matter the weather, no matter the temperature. “Students and co-workers across campus have been supportive of these efforts, following my cold, tight-clad December with smiles, words of encouragement and donations,” Mandi added. “The money raised is used to help advocate for victims.” Mandi joined the Faculty in April of 2011 as the Administrative Coordinator for the Department of Engineering. Originally from Pictou County, accepting this position in Bible Hill meant Mandi could be closer to home and her family. Before joining the Faculty of Agriculture, Mandi worked with Athabasca University in Alberta and Memorial University in Newfoundland and Labrador. During her time there she held various Student Affairs and Services positions and has enjoyed working with university students ever since she was one. 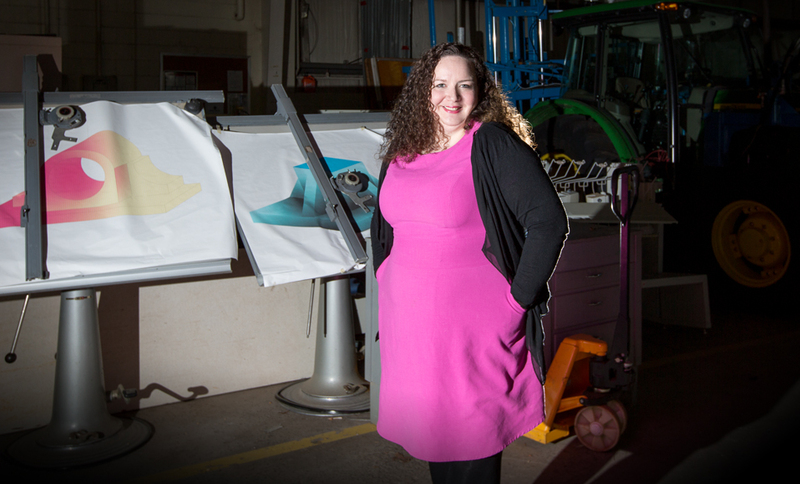 “I am very happy that I’ve been able to continue working with students as my fulltime career,” she says. Her passion for working with students has earned Mandi a nomination for the Outstanding Contribution to Student Life Award for the past two years. This award recognizes the extraordinary contributions the recipient has made to the wellbeing of the student population as a whole. Mandi is also a recurring member of the Community Open House Committee, a past member of the United Way Campaign Committee, as well as a participant for the Colchester County United Way Day of Caring. 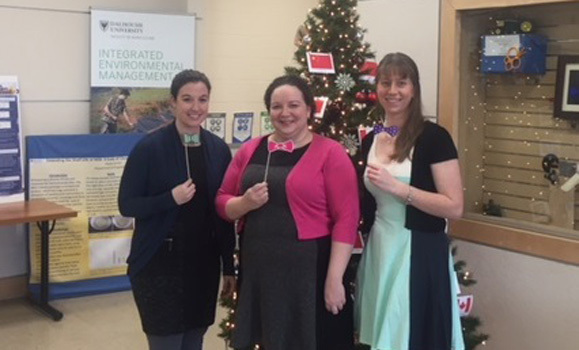 This year Mandi is joined by Dr. David Gray who is wearing a different bowtie every day this month and Ashely Coffin, Extended Learning and Gillian Hatch in Recuritment.